For those of us who love the feel of print on our fingers and the sound glossy or newsprint pages turning, or that treasure seeing our favorite people gracing magazine covers, Issues is an institution. I am personally grateful that the warm and unpretentious staff will hold and notify you when your publications of choice hits the stands. 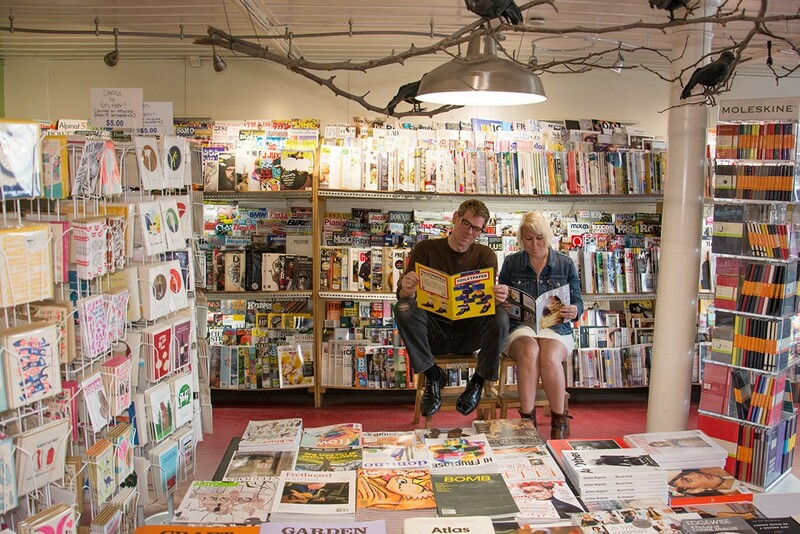 Through financial recessions and print obituaries, the Piedmont Avenue shop has stayed open, carrying an estimated 2,500 titles in its 750-square-foot space. Among those titles are issues of daily newspapers, low-brow periodicals, fine-art catalogs, fashion quarterlies, and local fanzines. Issues is the first-time business venture of Joe Colley and Noella Teele (pictured), who view their shop as much as a community center as a business. This Sunday, they’re celebrating ten years, a monumental milestone for anyone, and the celebration will feature food by Tacos Oscar and drinks from Temescal Brewing Company, plus a raffle benefiting two other fantastic East Bay community institutions, Youth Radio and Bay Area Girls Rock Camp. Birthday party guests can also enjoy a 20 percent storewide sale. Here’s to ten more years of Issues! Sunday, June 4, 12-2pm, free, 20 Glen Ave, Oakland. IssuesShop.com.